Fast Food restaurants are far from unheard of in Asia, in fact the continent enjoys some major players of its own, just waiting in the wings to take over the fast food crown from burger chains. The selling point of this type of fast food is that on the whole, Asian fast food tends to be healthy – although there are exceptions such as Philippine fast food chain Jollibee, which has 400 burger restaurants in the Philippines. 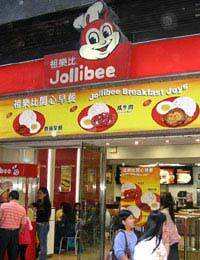 China has Chowking, and Hong Kong boasts Café de Coral, which is an up-market Chinese fast food chain. The chain already has over 100 outlets in Hong Kong but has its eyes firmly set on China. In Thailand, you’re more likely to encounter Thai Mango Chili which offers a delicious selection of rice and noodle dishes. Chinese street food is delicious, and well worth sampling. It’s nothing like the Chinese food you get delivered in the UK! Chuanr lamb kebabs smell delicious and you’ll find these mostly in Northern China. The gorgeous scent comes from the cumin, red pepper flakes, and other spices the kebabs are seasoned with. Bing, or pancakes, are also popular in this part of China, and they’re either served plain or stuffed with meat based fillings. Jian bing is the Chinese version of the crepe. For the sweet tooth, candied fruit and ChinaTang hu lu (skewered fruit coated in sugar syrup) are easy to come by. Try a Chinese hawthorn for something a little bit different. Mian guanr are Chinese snack noodle houses mostly selling noodle soups, and occasionally pan-fried noodles. Street food in Indonesia is often reputed to be better than the food you get in restaurants, and it’s usually sold from bicycles or carts, known as 'pedagang kaki lima' or makanan. The food you can choose from tends to vary – some sell rice dishes, satay dishes are popular and there are also soups, cakes, tempeh and hot and cold drinks. In Japan, it’s all about the noodles, with udon, soba, and ramen noodles being among the most well-loved snacks. For the adventurous traveller there are: Takoyaki (octopus dumplings); sweet snacks like Castella (a kind of sponge cake) ; sweet cakes such as taiyaki and imagawayaki. Food stalls abound in South Korea, street vendors get their woks fired up early and delicacies including fried squid, shrimp, and chicken skewers. It’s fallen out of favour now but one famous South Korean delicacy is beondaegi (boiled chrysalis) - and you can still find it in some places. For breakfast, Korean-style toasted sandwiches are still very fashionable in Seoul and some of the other large cities. Sweet snacks like hotteok and bungeoppang are tasty too. The Philippines are a nation of fish lovers, as their favourite fast food snacks will testify. Fried squidballs, calamares and fishballs are very common, as is kikiam— processed chicken on a stick, with a selection of dipping sauces. Common delicacies found on roadside fast food stalls include barbecued pork and chicken. There’s also a lot of offal on offer - chicken heads (helmet), chicken feet (adidas) pig's ears (tenga) and chicken intestines (isaw). For the stronger-stomached, you can ask for balut and penoy (duck eggs available with foetus or without), tokneneng and quek-quek (battered, deep-fried chicken and quail eggs) and even a deep-fried day old chick. A charming sounding Taiwanese street food that you may or may not want to try is the fried stinky tofu! If you’re a bit more conservative, opt for oyster pancakes, fried meatballs, sugarcane juice, fish ball soup, and rice or noodle based snacks. Most of the popular fast food dishes in Thailand involve noodles. Some of the varieties include Pad Thai, Rad Naa (flat noodles with beef, pork, or chicken and vegetables.) Other dishes include Tom Yum Kung (a soup), Khao Pad (fried rice), satay dishes and curry. i really undertsand where you are coming form, i recently travelled in asia and came across many asian restaurants that produced around about all the same types of food, it would be nice to see a restaurant that isnt influenced by tourist and produce the real cultural food.